These skewers are mostly protein. Add some fat and carbohydrates to make a balanced meal and stabilize your blood sugar. Combine chicken, 2 tbsp of hot sauce and 1 tbsp of milk in a large dish. Marinade in the refrigerator for at least 30 minutes. The chicken can also be marinated for several hours or overnight. In a small bowl, make sauce by combining remaining 2 tbsp of hot sauce, 2 tsp of milk, Greek yogurt, and olive oil. 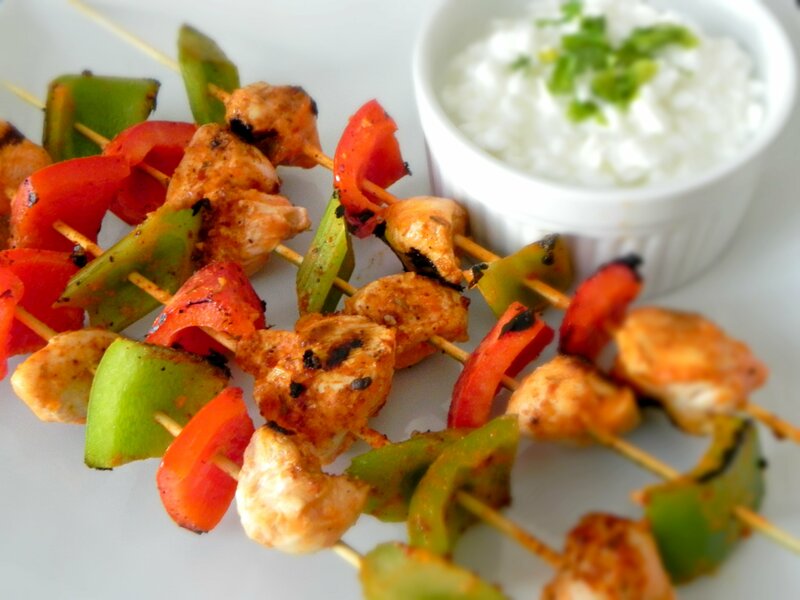 Assemble skewers by alternating with chicken (about 4-5 pieces each), peppers, and celery pieces. Using a pastry brush, coat each skewer with sauce and grill until chicken is cooked (about 10-15 minutes). Top with crumbled blue cheese and serve warm.